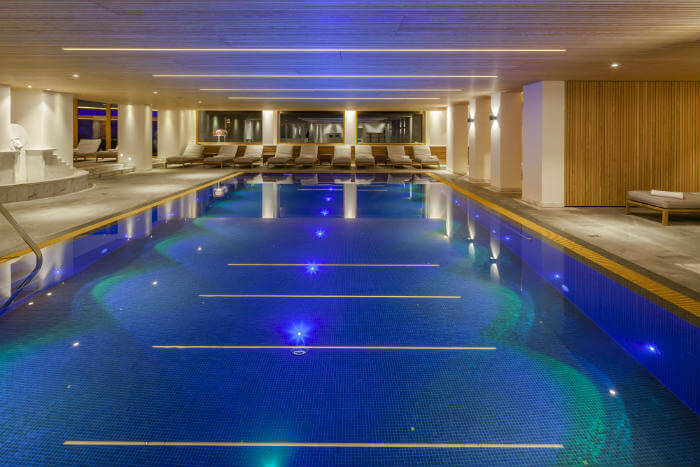 The hotel offer a full range of facilities such as two indoor and one heated outdoor swimming pool, whirlpool, Finnish panorama sauna, steam bath, massages, treatments and a panorama fitness area providing top-modern Technogym training machines. Sport should be fun and at the same time provide space to breathe as well as being an unforgettable experience. The 235 m² panorama fitness world with amazing view over the Allgäu Mountains provides 28 top-modern Technogym fitness machines. However, nothing is as important as an individual briefing. Therefore, our trainer will gladly take the time to instruct you to our fitness facilities. Most of our cardio equipment is equipped with a Visio web console, which enables internet access and TV viewing, with connections for Smartphones and MP3-Players.